You can now request an appointment using our website! Please click on the link below to begin your appointment request. As an added service to our website users, we have created a centralized list of all of the important medical-related numbers we could think of. If we have missed any that you think should be added, please let us know by contacting us. The Clinique Médicale Nepisiguit is proud to serve you. After hours clinic : Monday to Thursday starting at 5:00 pm and Friday (call our office to know the time). Answering service from 8:00 am to 4:00 pm to better serve you. In collaboration with the services of Tele-Care 811. The Maritime Medical Research Centre has been working in the field of medical research since February 2012. Clinical research is the final stage of the process in developing a new drug. It is at this point that the effectiveness of innovative drugs is studied on humans after testing has been carried out on laboratory animals (preclinical phase). An quality experience for our patients is very important to us. Please complete the form below to request an appointment. Once the form has been submitted, one of our receptionists will contact you within 48 hours to confirm and complete your appointment request. The receptionists will answer your request by phone or email within 24 hours of a business day. Please be advised that if you need an appointment as soon as possible, you should either come at the clinic, call the clinic or call Telecare. If this is an URGENT matter than you should go to the emergency department as soon as possible or call 911. The Medical Home concept is essential in the offering of our services. We want our patients to feel at home among us. Our dedicated staff and our team of doctors and nurses strive to provide a fast, efficient and courteous service. The sooner a health problem is noted and taken care of, the faster healing can occur with the least impact to the patient and the society. We try to offer a same-day service whenever possible. We hope that you will enjoy browsing our website and we will of course accept constructive criticism to improve the site. 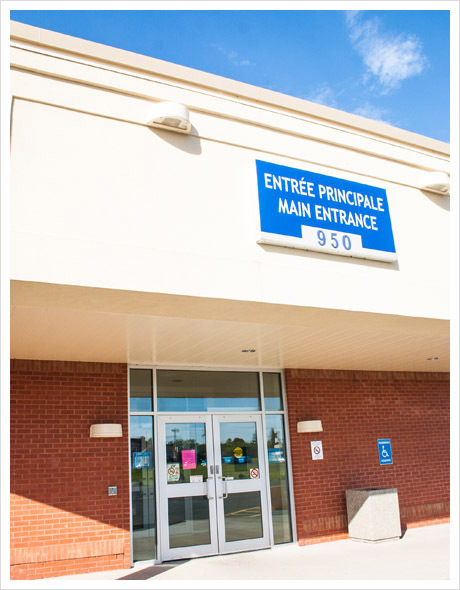 The office of the New Brunswick College of Family Physicians is located within the Clinique Médicale Nepisiguit. This collaboration enables the coexistence of our provincial organization with a clinical cutting edge in the development of the Medical Home or Family Medicine Centre. To join the head of the New Brunswick College of Family Physicians, Mrs. Lynda LeRoux, please call the following number : 548-4707. The College of Family Physicians of Canada (CFPC) is the voice of family medicine in Canada. Representing more than 30,000 members across the country, it is the professional organization responsible for establishing standards for the training, certification and lifelong education of family physicians and for advocating on behalf of the specialty of family medicine, family physicians and their patients. The CFPC accredits postgraduate family medicine training in Canada’s 17 medical schools. 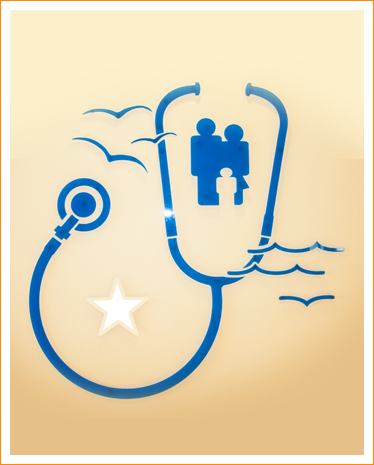 Elective and urgent appointments in family medicine for common family health needs. The Clinique Médicale Nepisiguit is a recognized university training centre of the Université de Sherbrooke, which trains family physicians and residents in their second year of training. Our R2 residents are medical graduates practicing within the Clinique Médicale Nepisiguit and in our Bathurst academic centre to complete their training in family medicine. They are under the supervision of physician professors who ensure that all the quality care you deserve is achieved. Often, our students graduate and return to work in the region as family physicians, which benefits the entire population. Thank you for your cooperation in helping us train the future doctors of our region. Most doctors practicing at the Clinique Médicale Nepisiguit went through the New Brunswick francophone medical training program and this has helped build a region that is solid in family medicine. We also provide teaching for nurse practitioners under the supervision of Mrs. Martha Vickers, NP, as a teacher to medical students from undergraduate and pre-doctoral levels. Several medications require the presence of a nurse for intravenous infusion, including Remicade, Aclasta, Tysabri, etc. In cooperation with pharmaceutical companies, we have high-quality protocols to ensure patient safety during these intravenous infusions in our premises. The nurse in charge is Mrs. Maryse McIntyre under the supervision of Dr. Jean-Pierre Arseneau. Maryse can be reached at 548-4994. The Maritime Medical Research Centre is a company dedicated to pharmaceutical research in our region. The responsible person is Mrs. Marie-Lyne Belliveau. Many protocols exist for pharmaceutical research (i.e. diabetes, psoriasis, hypertension, etc.). When we need to recruit patients for these research protocols, an advertisement is done in local medias and/or according to pre-established diagnostic criteria. For more information, please call 546-4343. The office of the New Brunswick College of Family Physicians is located within the Clinique Médicale Nepisiguit. This collaboration enables de coexistence of our provincial organization with a clinical cutting edge in the development of the Medical Home or Family Medicine Centre. To reach the New Brunswick College of Family Physicians, please report to the following number: 548-4707. This department is responsible for all the medical transcription and translation needs for all the doctors working at the clinic. The transcriptionists also handle all of the administrative correspondance for the clinic. Since December 1st, 2014, you can benefit from a blood work service from Monday to Friday, between 9:00 am to 3:30 pm. Please note that while we are opened until 3:30, you must obtain a number before 3:00 pm in order to be seen. You can ask the staff or your family doctor for more information on how to proceed. The Clinique Médicale Nepisiguit is committed to providing important information to our patients. Please browse our information page to learn more about various ailments, procedures, preventions and more.